At times, kids can be a little difficult to handle. They might not like the green vegetables you cook. They may hate the way their room looks with a desk and a bookcase. If children do not like their rooms, they will seldom sleep easily. Making kids fall asleep in time is a task in itself. The best solution for this is to buy amazing beds for kids so that they are eager to be in their bed. Here are some fun ideas for children both kids and adults will appreciate. If the kid loves his bed going-to-bed time will not be a nightmare for the parent. The child will happily go to sleep if you give him a chance to choose bed design. Parents won’t have to chase their kids every night, rushing them to a bedroom. In other words, the child will slowly develop a healthy sleep pattern! However, an appealing bed is not the only thing that makes bedroom decor. There are plenty of other fun ideas for kids that will make going to sleep or simply playing in the room attractive to the child. Below, we will discuss small details that contribute to a general picture. 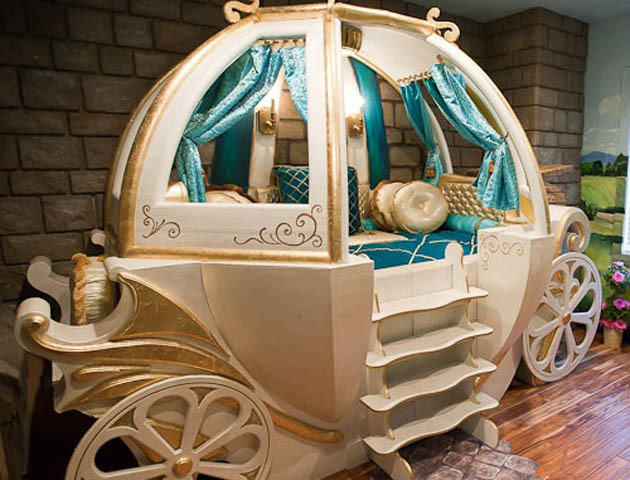 Kids are naturally attracted to novelty designs — racing car beds) , pirate ship, castles, etc. Bottom line, ask the child about the preferred design and do try to change his mind if you do not like the idea. Once you have the bed in your kid’s room, half of the job is done. The child will love his bed and will always be eager to get into it. No matter if it is a cool single bunk bed or a double bunk bed designed like London red bus, any child will love a bed he has chosen independently. All of those are important accessories that contribute to your general decor picture. Maybe, the bed cover can feature your kid’s favourite cartoon character. You can also choose simple mono-coloured covers; in that case, match them with the curtains. No doubt, it’s an adult decoration approach, but it does not mean that the same idea will not work in a child’s room. Loft beds with a mini playground below is a fantastic idea. 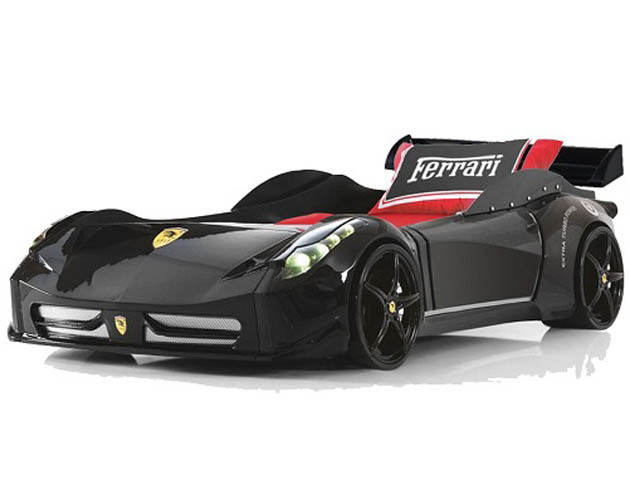 It can give the child a compelling reason to spend most of his time in the room. The more your child plays in his/her room, the less toys will be scattered all over the house, so this is a win-win situation both for the parents and the children. Comfort and safety are a priority when shopping for children’s furniture . Choose a comfortable mattress for that amazing bed. All of the above ideas make sense only if the bed is comfortable, cosy, and safe for your kid’s health.